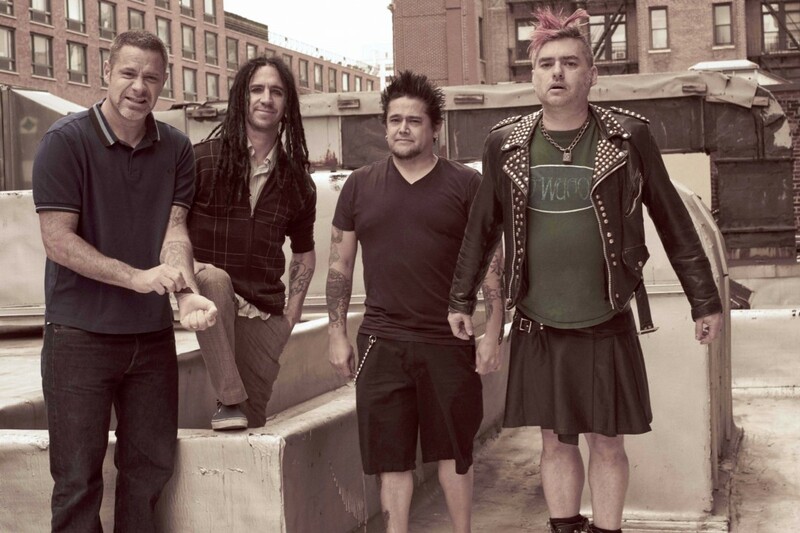 Over the past year or so, NOFX and beer producer Stone Brewing Company have had a partnership revolving around a NOFX branded beer and the "Punk in Drublic" fest where people can get craft beer and watch punk bands. However, Stone Brewing has stated that it is severing ties with the band. This was precipitated by comments that the band made at punk rock bowling. At that show, guitarist Eric Melvin stated “I guess you only get shot in Vegas if you’re in a country band." Fat Mike then replied “At least they were country fans and not punk rock fans." In response, Stone Brewing issued a statement: "We at Stone Brewing are aware of NOFX’s insensitive and indefensible statements this past weekend. As a result, we are severing all our ties with NOFX, including festival sponsorship and the production of our collaboration beer. We respect punk rock, and the DIY ethos for which it stands. To us, it means standing up for things you believe in, and fearlessly committing to what’s right. And it is for that reason that Stone Brewing is immediately disassociating ourselves from the band NOFX. Stone had a sponsorship deal for this summer’s Punk In Drublic festivals. Emphasis ‘had.’ That sponsorship is now canceled. Nevertheless, to try our best to make some good come out of these awful comments, we have decided that we will donate all profits of the beer to the Las Vegas Metropolitan Police Department Foundation, which provides post Route 91 trauma counseling for officers and other first responders alongside other safety programs, training and funding. We have cancelled any future rebrews of this beer. We apologize to the fans of the beer itself, but know that we make this decision out of respect to all. Punk rock is cool. These callous comments were the furthest thing from it." At this stage, it appears that currently scheduled Punk in Drublic shows will still take place. We'll keep you updated if anything else develops. Videos: Adolescents: "Queen of Denial"